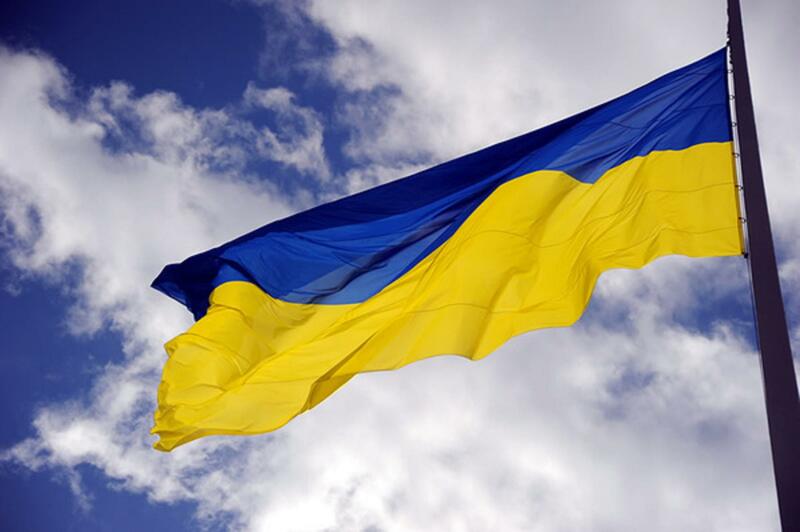 Since last november Ukraine has been in the spotlights because of the happenings in the country. Protests against the government led by former president Viktor Janukovich started in Maidan Nezalezhnosti, but soon spread all over the country. 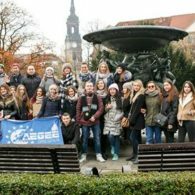 In Ukraine AEGEE is present with seven locals, namely AEGEE-Dnipropetrovsk, AEGEE-Kharkiv, AEGEE-Ivano-Frankivsk, AEGEE-Kyïv, AEGEE-Lviv, AEGEE-Odessa and AEGEE-Sevastopol. Most of their members were actively involved in supporting and helping their fellow countrymen during the difficult times. The Network followed the happenings closely and in the month of February, the seven Ukranians local were awarded with the Locals of the Months title. 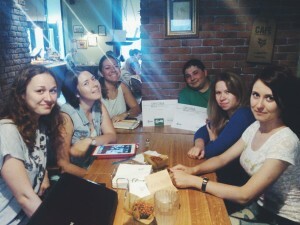 The AEGEEan spoke with the board of two of them: AEGEE-Kharkiv and AEGEE-Kyïv. The AEGEEan: The whole world is focusing its attention over Ukraine. How do you feel the atmosphere is like? Does this affect the life of your local and your members and, in general, how does this affects the live of a normal Ukrainians? 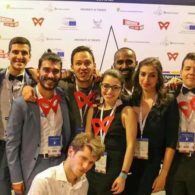 AEGEE-Kyïv: Indeed the situation affected the life of all our members and board in general. We, as local from the capital of the country and the heart of the riots, couldn’t stay calm and pretend nothing happened. As board, we had to make a statement to our members about our attitude towards the situation when all this started at the end of November. Living in the capital means having people with absolutely different opinions about the situation, to be honest even in our board (and we have nine people plus three members of the Revision Commission) we had some controversies. That’s why our statement to members was very diplomatic – we asked them not to keep silent and act, if they feel it’s time but to keep a cold head too as the situation was really dangerous. We also had to cancel many of our events, birthday party and some activities – it was just inappropriate to celebrate and party when people were dying on Maidan. 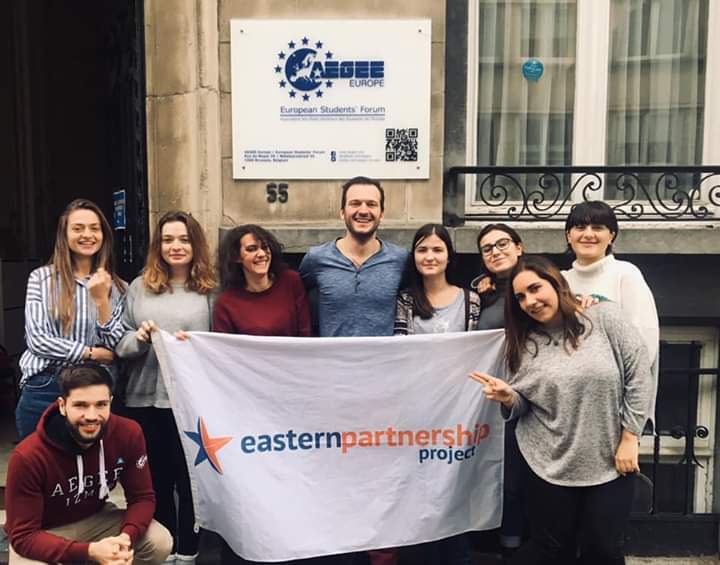 The life of AEGEE-Kyiv changed from a local that always had a lot of motivated people, who travel, want to take part in organising their own projects to a local with members who were mostly tired of the situation. 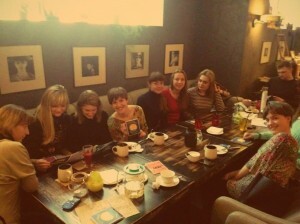 Until March we had only social meetings. And now we, as board, are trying to do everything for our members to act, to participate, to travel and open the world. We changed our HR-strategy so that each member could be heard. The same was happening to Ukrainians – after all they were really tired and some lost the hope. Elections and the latest events might change the situation, and we feel that the young generation finally believes that they can be the change and that their opinion, voice and actions are utmost important. The AEGEEan: All Ukrainian locals have been selected to be Local of the Month. 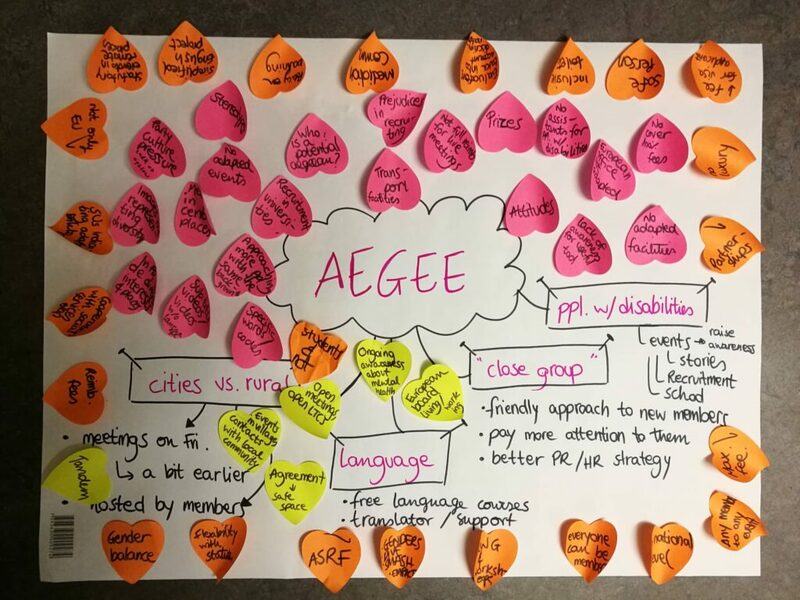 It is one of the many examples of AEGEE trying to do something in civil society. Do you feel the support from the network? 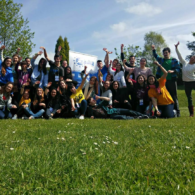 AEGEE-Kyïv: We were extremely pleased by everything that was done by AEGEE-Europe, many AEGEE-locals, Working Groups and particular persons, especially knowing that most of Europe didn’t have an appropriate picture of what was happening and trusted only our words and what we posted on social networks. It was inspiring. 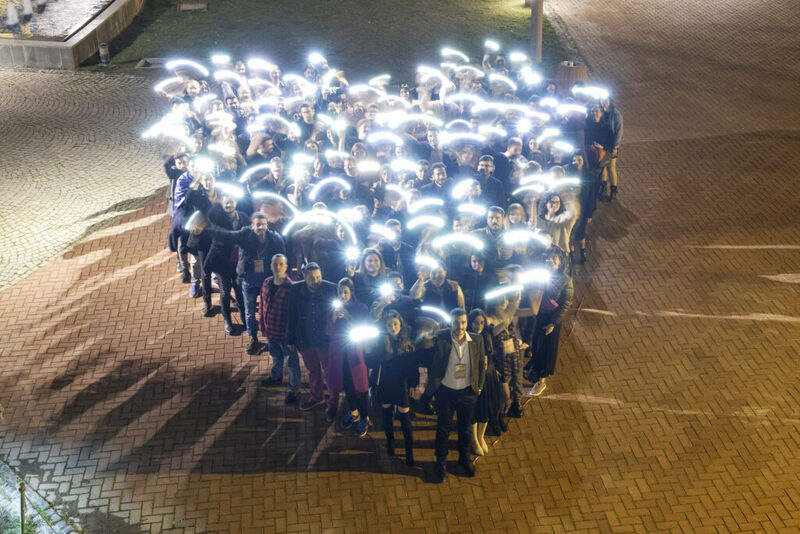 There was a flashmob, changing profile pictures to a black square with Ukrainian flag, donations that were made, reposts of articles written by Ukrainiasn and of course, the fact that Luis Alvarado Martinez, President of AEGEE-Europe, came to Kyïv. It’s a big step forward, and not just a quote from the Statement of Principles about AEGEE’s aims. It’s action, which means much more. 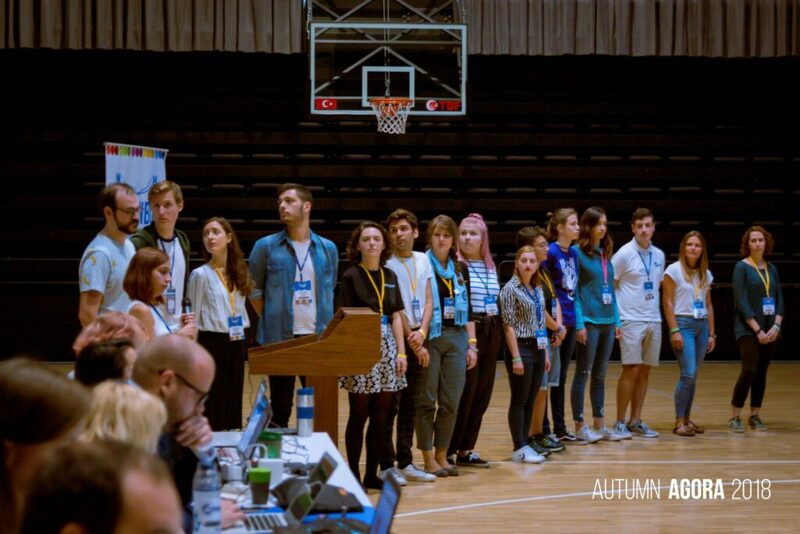 AEGEE-Kharkiv: Yes, during these months we really felt it. Speaking, for example, about Facebook, where we saw the support of hundreds of people every day: posts, photos, messages. It’s really a big thing for us. These things have made our days better for months.Thank you very much. It’s what happens in a big family too: some children get sick and the whole family does their best in order to relieve the suffering of their kids. 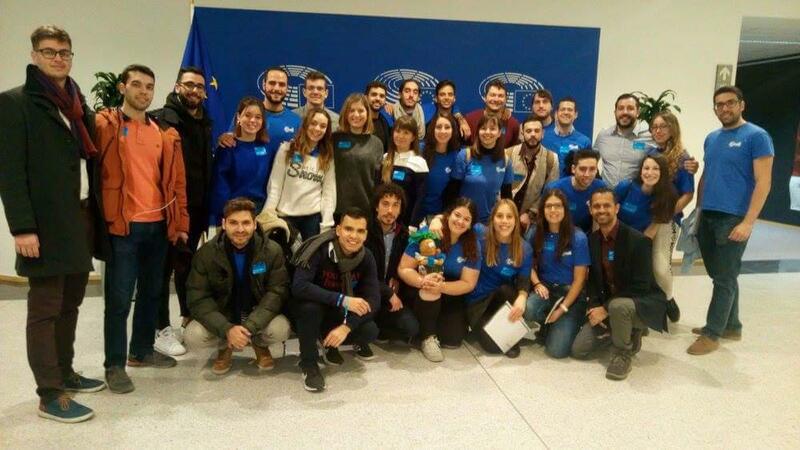 The AEGEEan: In the past, AEGEE has been helping with the improvement of dialogue in places as Cyprus and Western Balkans, while always paying special attention to youth. 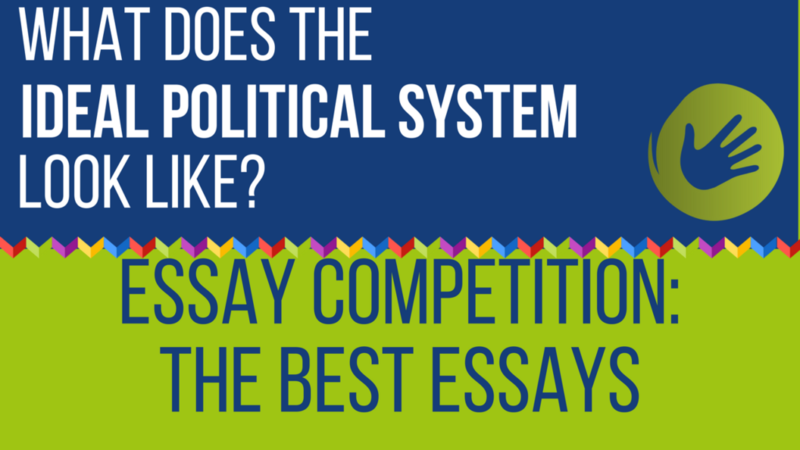 Do you think AEGEE could play such a role in Ukraine? AEGEE-Kyïv: Yes. But now the most important for us is to show that it is not so dangerous to come to Ukraine as is shown in the media of many countries (of course Russian news as well, but that’s another story). The success of Election Observation Mission, that sent more than 20 members from different locals to our country, shows that coming here and seeing everything by yourself can have a more powerful impact and communication might be the key to understanding. AEGEE-Kharkiv: We are young and we are open to the future. We learn something, sometimes make mistakes and after it, we become more experienced. 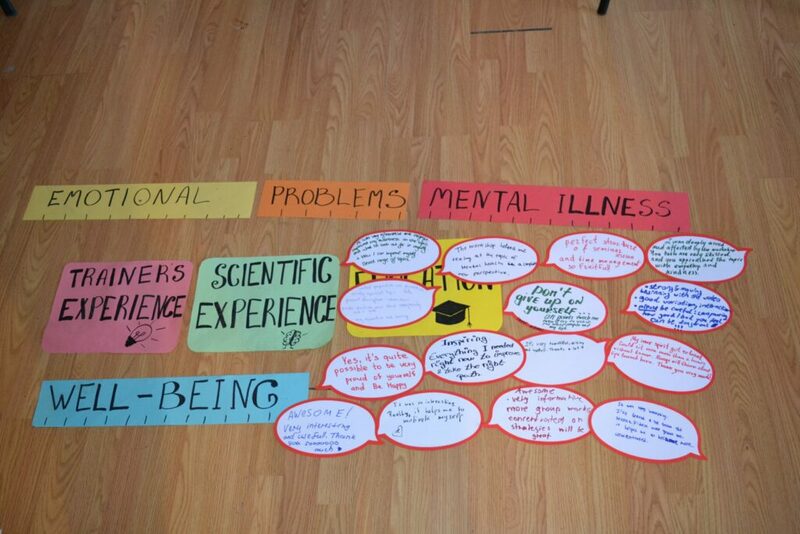 And of course AEGEE can help us with pushing the limits of our mind, and to become more serious, responsible adults. The AEGEEan: Could you say you feel more European because of AEGEE? AEGEE-Kharkiv: AEGEE shares European values with us that we just began to learn (and they are not about economic and politic matters). We can take all the best from Europe, for example being more law-abiding. 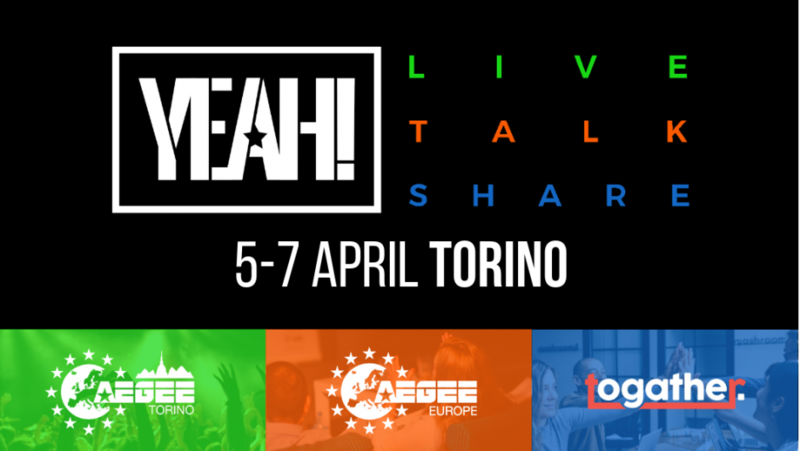 AEGEE is a big platform to make yourself more open-minded, to see what the real Europe is and to involve this in your life in your country. 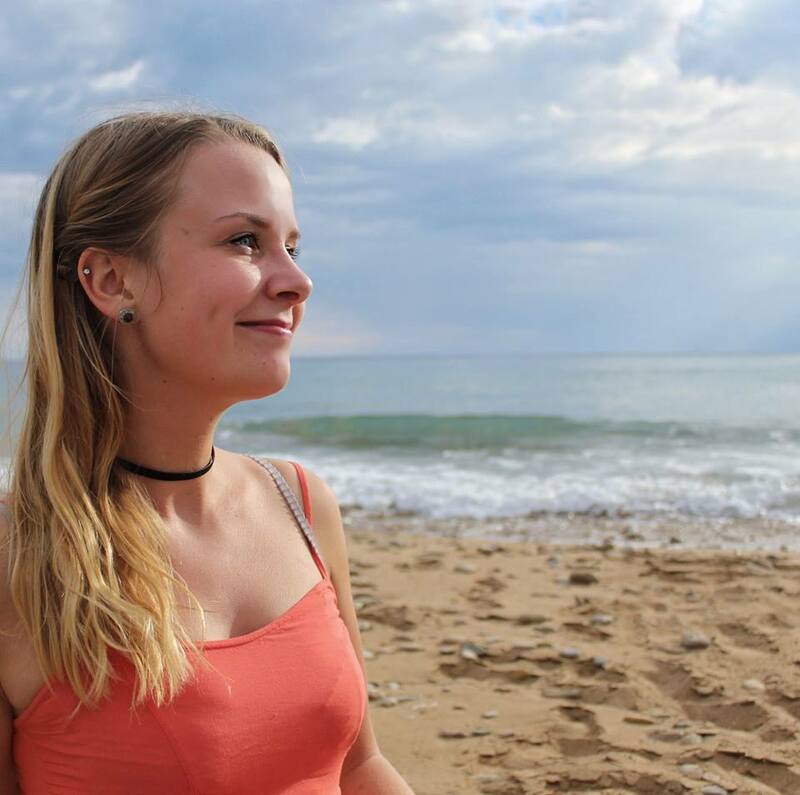 AEGEE-Kyïv: We would even say we understand more what being European is now. 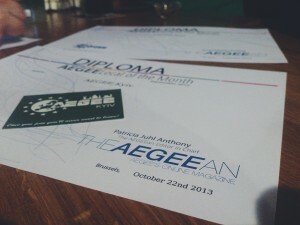 AEGEE definitely changed the life perspective and was the reason that we do not have many typical stereotypes anymore. And we cannot say we feel European in a political way, but for sure we feel more open-minded and struggle more to get new information, news. 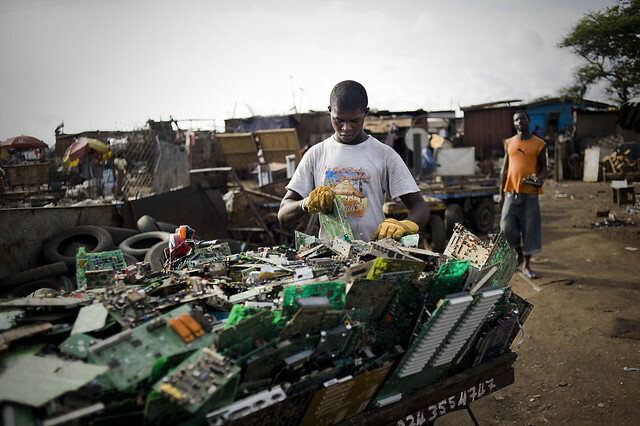 We have feeling that we can not only do something on a local, but also on the European level to help our country. Switching perspectives! German-Ukrainian Youth Exchange "YOUrope: Exchanging hopes and challenges of EU participation"